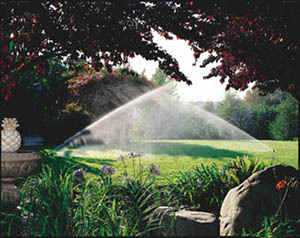 If you need an irrigation system, Irrigation Services can help. With over 15 years in the industry, we have the personnel, equipment, and experience to make it happen. Our company has a staff with a variety of skills and understanding. Our knowledgeable staff is a big key to our success. We would like to take this time to thank all of our past, current, and future customers for our growth and success. 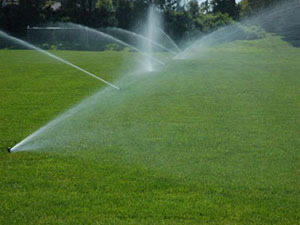 Everyone at Irrigation Services sincerely hopes that if you are looking for a quality irrigation contractor you consider us. Please contact John or Zeke for more information at 314-952-4731. Is the space you've alloted for gardening overly saturated with water? Do your downspouts drain directly against your house, threatening the integrity of your homes foundation? Do you havepools of standing water throughout your yard? You may want to improve your yard drainage. 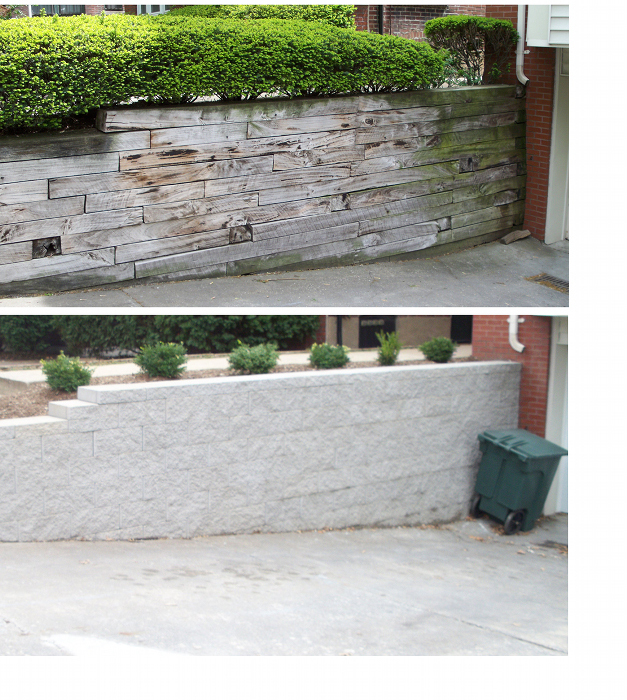 We can use a variety of techniques to remove unwanted water from an area. 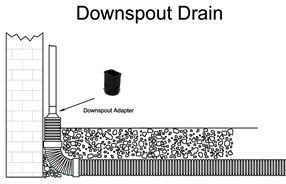 We install downspout, frinch, surface and channel drains as well as sump systems. 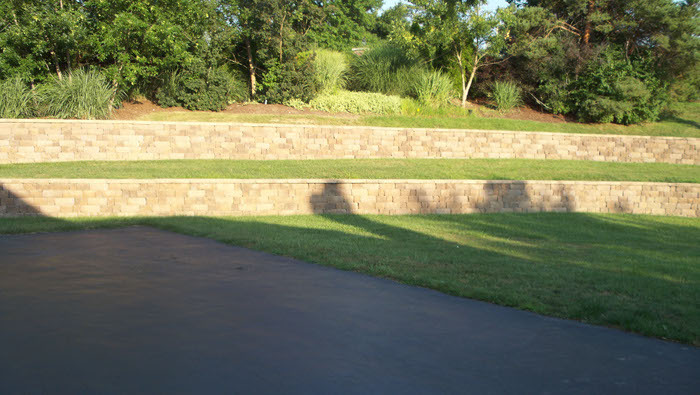 Protect your investment with a professionally designed and installed drainage system. Low voltage lighting reveals the house and grounds in the setting that was lost as night fell. 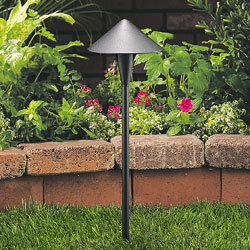 The purpose of low voltage lighting is to reestablish the relationship between house and landscape. Lighting should enhance the setting, extend the hours of outdoor enjoyment and enhance safety. 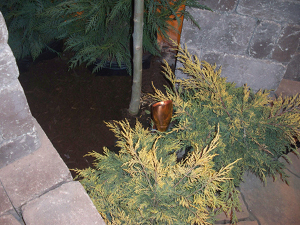 Most low voltage lighting is retrofit into existing landscaping with minimal disruption. 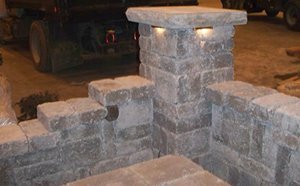 Installing an underground spinkler system enhances the value and curb appeal of your home. Your automatic irrigation system protects your investment in your landscaping by assuring healthier, properly watered plants and turf. A professionally installed automatic sprinkler system will maximize your home's water usage, eliminate waste and save you money, by applying only the needed amount of water. Save time and effort with an automated irrigation system. Why spend your evenings and weekends dragging hoses around? Once you program the easy to use controller, it will turn itself on and off automatically. The systems rain sensor turns off the watering program in the event of a down pour and turns the program back on when the weather clears. Healthy plant life and dense lush turf are only achieved through proper maintenance and watering. Your system will evenly distribute water on a regular schedule that is easily changed for each season and is reliable even when you are away. 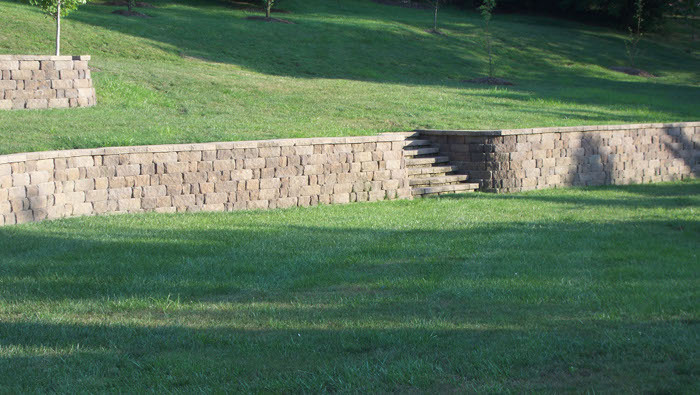 If you want to level a steep slope on your property or enclose an area for a decorative garden, a custom built block retaining wall might be exactly what your home currently needs. 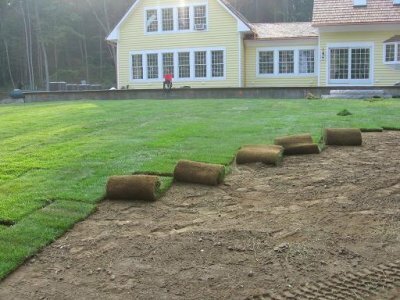 Laying sod is a fast and produces high quality new lawns. Sod prevents erosion and weeds from germinating. 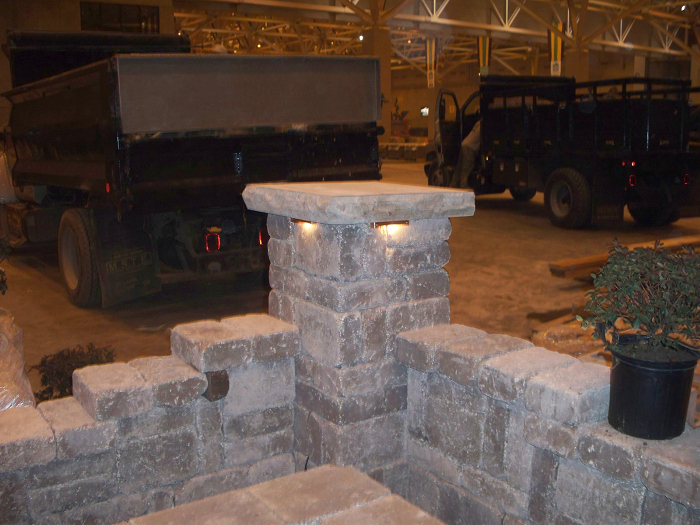 It also withstands heavy traffic and can be installed year round. Give us a call for an "instant yard".